Santa Clarita’s Open Space Preservation District has helped establish many great hiking trails right in our community. With its incorporation as a city in 1987, Santa Clarita has taken great strides to insure residents of our valley maintain a quality of life that includes not only great housing, Hike Santa Claritajob opportunities, and great schools, the city also works hard to preserve open space in an effort to provide protection to natural resources and habitat as well as the green space surrounding the SCV. With that, the city has also established a program called “Hike Santa Clarita.” Hike Santa Clarita provides SCV residents and visitors with detailed information about the valley’s various hiking trails provided as part of the Open Space Preservation District. What is the Open Space Preservation District? 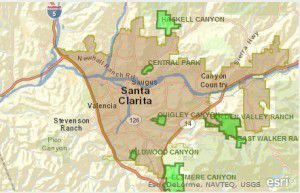 In 2007, the City of Santa Clarita established the Open Space Preservation District, voted on by Santa Clarita city property owners whose assessments paid assist the city in purchasing land in and around the Valley that would otherwise be developed. In preserving open land, protection and retention of wildlife corridors, as well as the restoration of endangered species in the area may continue and flourish. The Open Space Preservation District also includes the city’s bike trails and paseos. Trails are open from sunrise to sunset. Motorized vehicles are prohibited, and dogs must be leashed at all times. Hikers should observe all posted trail guidelines, carry out their own trash or deposit in available waste receptacles, and be sure to clean up after your pets. Believe it or not, many lifelong residents of the Santa Clarita Valley are unaware of some of the amazing things to do in Santa Clarita. Whether you’ve been here 20 years, or 20 minutes, Montemayor and Associates will answer all of your questions about the Santa Clarita Valley. If you’re considering a move to the SCV, we’re here to help get you started toward home ownership. Contact us at any time either at the numbers listed at the top of this page, or by using the quick response form below.